Super Eagles technical adviser, Genort Rohr has revealed that the team would qualify for the 2018 World Cup in Russia with good adequate preparation. The three-time champions are in the same group alongside Algeria, Cameroon and Zambia; of which the winner of the group will automatically qualify for the World Cup. The German tacticians also pointed out that the Tanzania’s match in 2017 Africa Cup of Nations will be an ideal way to prepare the team before the team faces Zambia on October in Lusaka. “There is no international break between now and the game against Zambia; and that means this weekend’s match against Tanzania is very important for us. We have to monitor the players thereafter at their clubs to know they are okay before we go to Zambia. 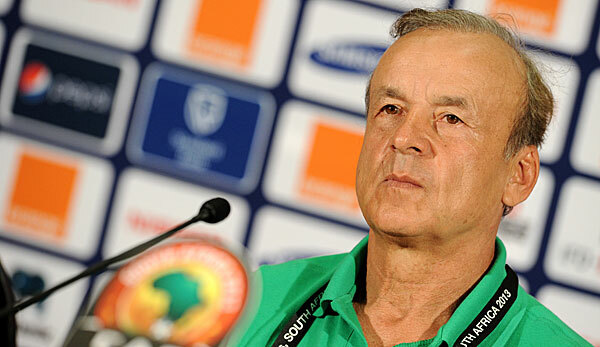 It will be a real test for the team against Tanzania on Saturday,” Rohr told Cafonline.com.